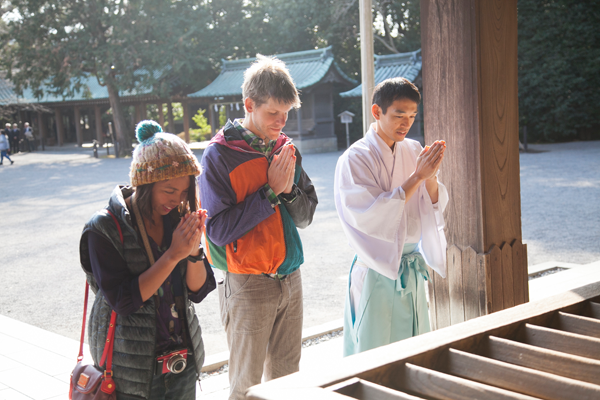 Do you know the formal way to worship at a shrine? Well, you can learn directly from a Shinto priest who will explain the etiquette of correct worship at the historically distinguished shrine of Mishima Taisha. This taster tour also offers a rare opportunity to enter the holy precincts of the shrine (usually forbidden), enabling participants to imbibe the shrine's inner aura. 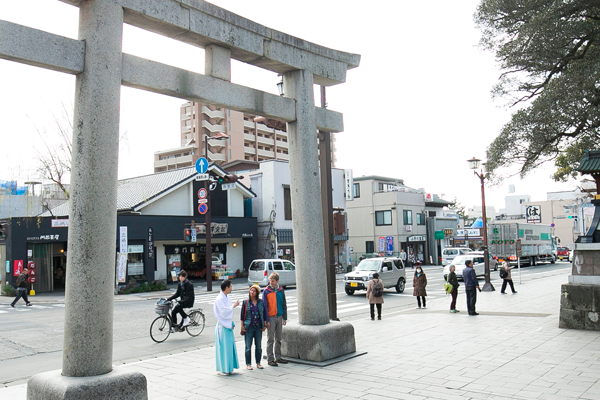 Participants will meet the Shinto priest at the torii gate to first learn how a worshipper should pass through the gate. The Shinto priest will then teach participants how to proceed correctly along the shrine path and how to worship correctly as well as pass on nuggets of information about the history of Mishima Taisha Shrine. The Shinto priest will show participants how to ritually wash their hands prior to worshipping. Participants will then get the opportunity to formally worship (pray) at the main shrine or the court music pavilion. Next, the participants will be able to go through a simple Shinto purification ceremony in the main shrine, followed by a tour of the holy precincts at the rear of the main shrine. These are areas where photography is not allowed, so please take part in the taster to enjoy this hidden world. 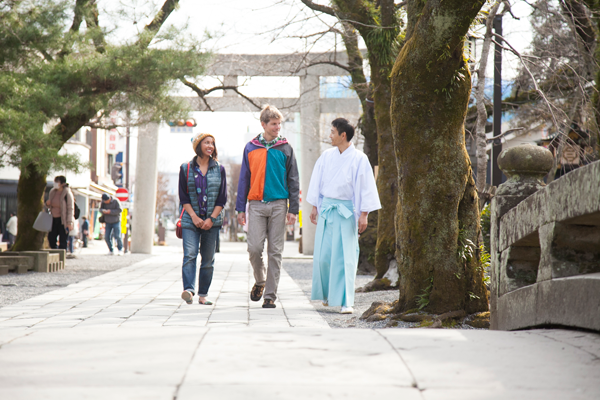 The Shinto priest will then show participants around other points of interest in the grounds. Taster tour participants are eligible to enter the treasure hall free of charge. 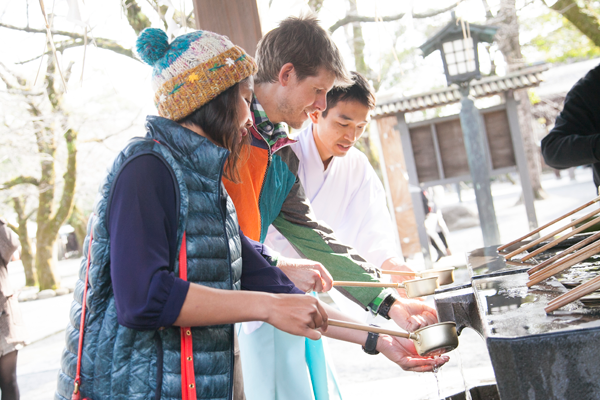 The taster tour takes about 60 minutes, which is time well spent in the presence of precious Japanese culture and history – so, why not try it out. *Minimum of 5 people required for taster tour to be conducted. *Bookings must be made in advance (at least 10 days prior to desired tour date). Please use the following contact details for Mishima Tourist Association to inquire about bookings and details. 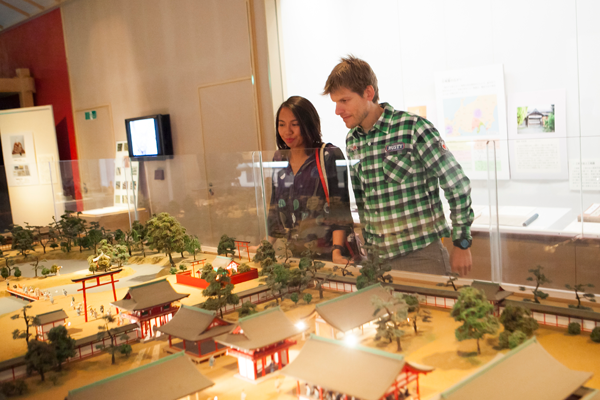 *Note that shrine taster tour is only provided in the Japanese language.